﻿Click Fast or let your Mouse Auto Click ? When you got to Click really Fast or at various locations, you need to decide whether you want to manually click or take the help of a software which can Auto Click for you. This post presents 2 Software Applications which can help you click. The manual clicking method is equally good however trying to click faster and faster using various methods like Jitter click or any other method can be a pain and distract you from playing your favorite Game or using Web Application accurately. Taking the help of a Software Application to click is the easiest and fastest way to do Mouse Clicking on your Computer. 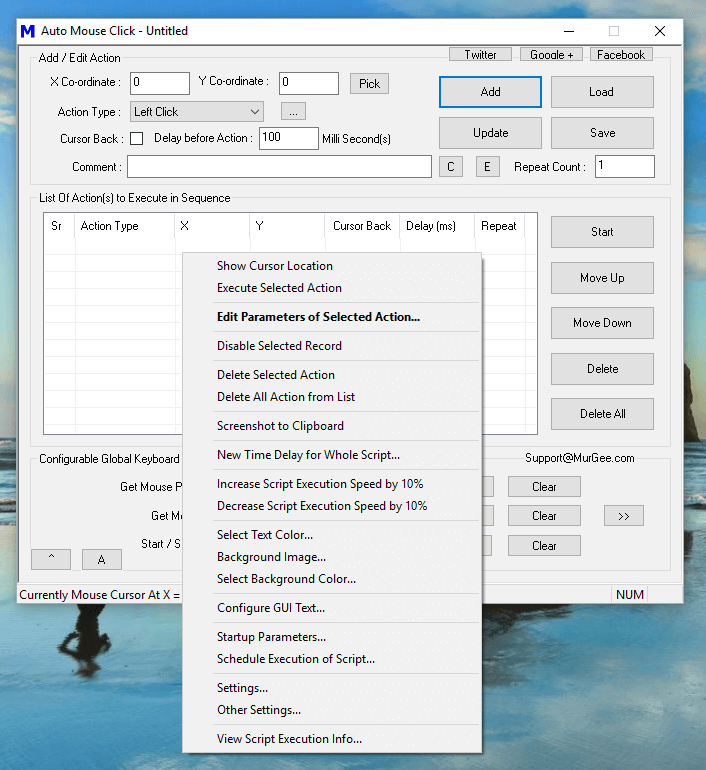 Apart from fixed time interval Clicking, you can also enable the Manual Clicking mode in which time delay between consecutive Mouse Clicks is random. Yes even the time delay between Mouse Down and Mouse Up can be random so that the automated Mouse Clicks to your Game, Web Application or even Direct X Game will appear as Manual Fast Clicking. This is how Mouse Clicking works on Windows Operating System and is applicable to Web Applications, Flash Games, Desktop Applications and to most of Direct X Games. Only few Full Screen Applications or Games implement comprehensive Mouse Click detection. A Human presses the Mouse Button and then Releases the Mouse Button. The Mouse Down and Mouse Up events are read by the Operating System. For a Mouse Click (which is basically Mouse Down + Short Time Delay + Mouse Up Action), the Operating System takes into consideration the Active and Foreground Application and Mouse Cursor Location and sends the Mouse Click information to the Application. As outlined in the procedure above, most Desktop Applications including Web Browsers get the Mouse Click information from the Operating System itself. When you do Fast Clicking, the Mouse Clicks are sent to the Active Application Window and it is their decision as to how to interpret the Mouse Click information. When using a Software Application to send Automated Mouse Clicks to active Application Window, the Mouse Click information is sent to the Operating System and it is the passed onto Active Application Window by the Operating System itself. 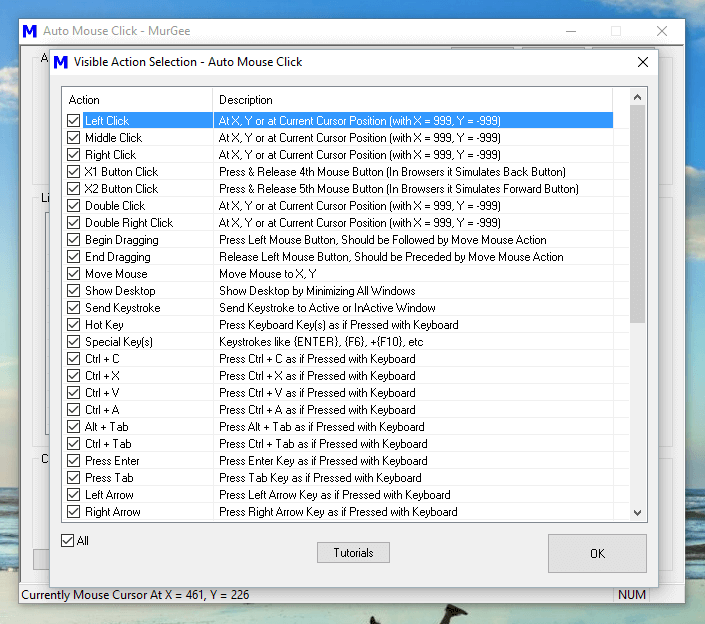 Effectively you can have a Mouse Clicking Application do Mouse Clicking for you even without a physical Mouse connected to your Windows Computer. Apart from Mouse Clicking a Windows Automation Software (such as given below) can Automate lots of other Human Input and Computer Control Actions. Before downloading a Software Application to do Fast Mouse Clicking for you, you need to decide where and how you want the Mouse Clicking to be done. Apart from location of Clicking, you also need to decide how and when you want to do the automated Mouse Clicking. Finally you also need to decide as to how you want to control the Automated Mouse Clicking. The Software Applications presented here offer you various options to control each and every aspect of Automated Mouse Clicking. 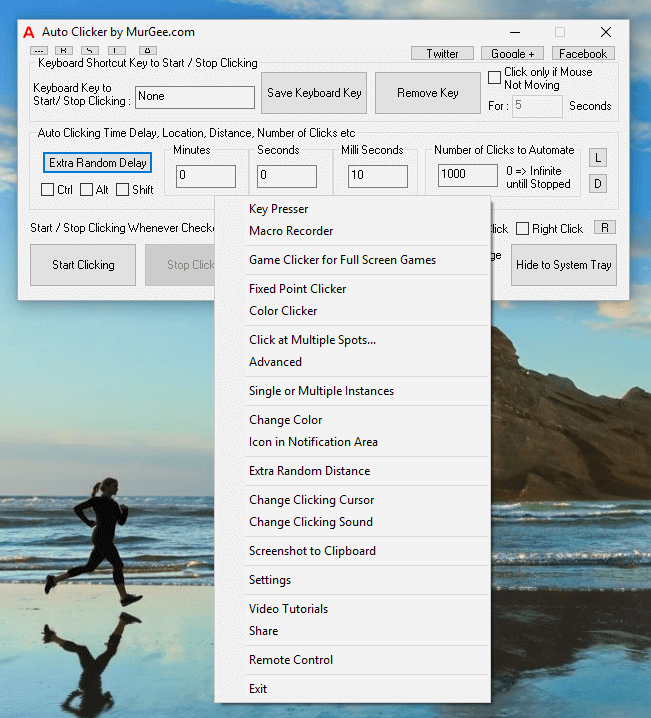 In order to Automate Mouse Clicking in Games which require lots of Mouse Clicking to be done at a single location, you can Auto Click with Auto Clicker. This Software allows you to Automate Mouse Clicking at Fixed or Random Time Delay Interval. You can Control the Automated Mouse Clicking with a Keyboard Shortcut, Physical Mouse Click or even configure it to Auto Stop after Clicking pre-configured Times. Apart from features visible on the main screen, there is lots of functionality available in the Right Click Menu as displayed in the screenshot above. 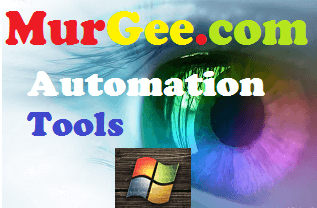 Key Presser, Macro Recorder, Fixed Point Clicker, Advanced Mouse Clicker, Color Clicker and many more inbuilt utilities makes sure that whenever you need Automated Fast Mouse Clicking, you can easily and quickly launch the appropriate tool and let the Software help you in Mouse Clicking. 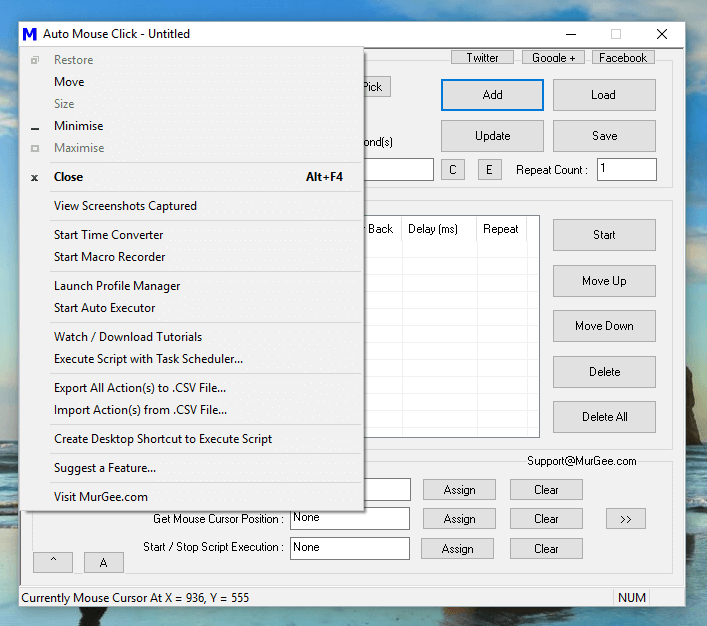 When you need to do Automated Mouse Clicking on multiple spots like various buttons on a Webpage, you can create a Mouse Clicking Script to do the Mouse Clicking for you. Yes creating a Mouse Clicking Script is easy with Auto Mouse Click and lots of Gamers across the world already use this Software to Automate Mouse Clicking in Games. In case you feel like it is too much work to plan Mouse Clicking at multiple locations, you can use the inbuilt Mouse and Keyboard Recorder, Record your Repetitive Actions and Automate them with a Global Keyboard Shortcut. Using a Macro Script to Automate Mouse Clicking gives you Speed & Accuracy in Automated Mouse Clicking. Yes the above mentioned Software Applications are best in Automating Mouse Clicking. In case you are a Gamer, lots of your friends might be already using any of both of the above Software Applications. You can download the above mentioned Mouse Clicking Software Applications for Free and explore their features. Minimal Registration fees of $5.00 is required to unlock the Free Trial. Whether you are using a Windows 10 Computer or any other version of Microsoft Windows, you can fully enjoy the enormous features offered by Software Utilities with minimal efforts. Clicking Faster is now easy and fun and yes Jitter Click and other manual methods to click for long duration is a thing of past.